One in 11 veteran struggles to find jobs after serving the country. Getting back into civilian life is tremendously difficult for veterans, and part of the difficulty lies in finding ways to resume a normal life routine - which includes achieving and maintaining a job. Interestingly, the search for a career can actually be boosted by following a healthy lifestyle filled with regular exercise. Trauma from combat can be highly stressful for veterans to have to process, and it can cause problems until a veteran’s senior years, according to a study by the University of Florida. Examples include dealing with depression and anxiety. In light of this, finding a job and holding down a steady routine can feel overwhelming for veterans when they return home. But an exercise routine might just be the lifestyle habit to prioritize. Here's why. Research published in the Military Behavioral Health journal found that low self-esteem is a significant factor that’s linked to post-traumatic stress disorder (PTSD) in veterans. Exercise has been found to improve one’s self-esteem and body image. The Journal of Cardiopulmonary Rehabilitation and Preventions mentions a study in which researchers monitored the effects of exercise on participants. When participants committed to healthy lifestyle habits that included an exercise routine, they reported fewer instances of stress when compared to people who didn’t stick to those healthy habits. Since cultivating healthy self-esteem is an important part of finding employment and succeeding through interviews, it’s a vital skill for veterans to work on. Interestingly, working out regularly and boosting your metabolism can have a direct influence on your self-confidence. Metabolism refers to chemical processes that occur in the body, and when your metabolism is boosted, this leads to greater workout results, which can definitely help to improve your sense of self-esteem. Metabolism is also linked to processes in the body besides for weight loss, such as your energy levels. There’s no doubt that self-confidence and energy go hand in hand – when you feel good about yourself, you feel motivated to get things done. The opposite also rings true: when you have energy after a workout at the gym, you feel you can achieve in other areas of your life. This is because exercise releases a cocktail of endorphins, or “feel-good chemicals”, which motivates you to want to perform. For veterans entering the workplace, this can be valuable. Stress is part of combat, but it’s also a regular occurrence in the workplace. Exercise can help one deal better with stress, as one study of athletes that was published in the Journal of Sports Sciences has found. 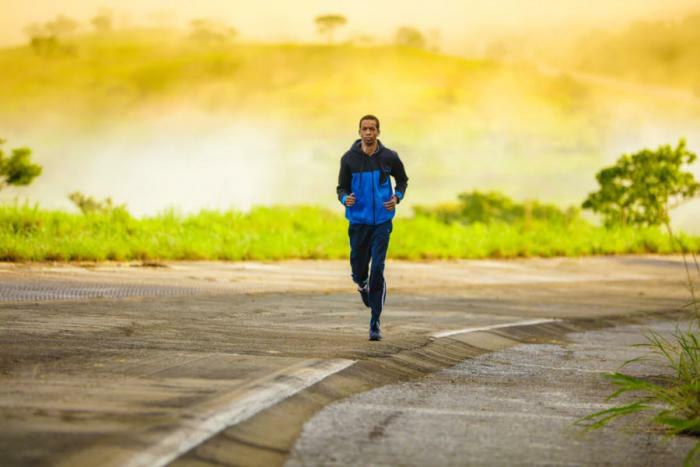 In the study, athletes were capable of dealing with different types of stress, such as competitive and personal stress, thanks to how the regular exercise boosted their confidence, ability to focus, and motivation levels. These are all skills that can prevent stress from creating obstacles in the workplace. Veterans don’t need to become athletes in order to reap the rewards from regular exercise. Even just a bit of exercise can be valuable in improving their serotonin levels. Why is this important? Many veterans experience lower levels of the serotonin hormone when they return home after combat. Serotonin is basically a neurotransmitter that sends messages from the brain to the body to boost one’s mood and prevent anxiety, depression, sleeplessness, and memory problems. Alarmingly, one in 10 older veterans is diagnosed with depression, according to research published by the U.S. Department of Veterans Affairs. Since serotonin keeps depression at bay, it’s clearly an important hormone for veterans to maintain once they return to their normal lives. When committing to an exercise routine, it’s helpful to know that some of the best exercises to boost serotonin levels in the brain include aerobic exercise, with prime examples being bike-riding and running. Since exercise is found to boost serotonin levels, this can help veterans gain a better mindset at the office as well as improve their relations with co-workers and bosses, leading to greater corporate success. Veterans return home as heroes but sometimes find it difficult to lead normal lives that include having a career and nurturing healthy work relationships. There have been interesting studies that show the benefits exercise can have on one’s career, but exercise can also help veterans in other ways: they can keep depression at bay, feel more confident, and gain fresh motivation to make their lives beautiful after the trauma they’ve experienced.